When Jonas the fat-tailed dwarf lemur died recently in captivity at the ripe age of 29 years, he was the oldest known of his species. But Jonas not only outlasted members of closely related lemur species held in captivity; he also lived much longer than science would predict based on his small size. A new study in the Journal of Zoology attributed this exceptional longevity to the fact that this lemur species are able to readily enter a low energy state. They can do this for both for long periods of days to months (hibernation), as well as shorter periods of a few hours (known as torpor). Dwarf lemurs live much longer than similar-sized animals. The researchers looked through more than 50 years of records on hundreds of these and three other lemur species at the Duke Lemur Centre. They suggest that increased longevity in hibernators could be the result of cellular machinery that makes them resilient to metabolic stress, which is associated with aging. Among mammals, body size correlates with lifespan: larger species live longer than smaller species. This relationship is not perfect and there are sometimes major exceptions. Jonas and other fat-tailed dwarf lemurs are one of these, meaning they might carry clues to what determines lifespan. In 1908, Max Rubner proposed the first evidence-based theory of aging. He noticed that the bigger a species of mammal was, the lower its metabolic rate, meaning that bigger mammals use less energy per kilogram of body mass than small ones. Rubner showed that horses, cows, dogs, cats and guinea pigs each use about 200 kilo-calories for each kilogram of body weight over the course of their lifetime. So over their lives, each animal, per kilogram body weight, does the same amount of metabolic work; short-living animals do it faster, longer living do it slower. This became the Rate of Living Theory. It says that energy metabolism is unavoidably associated with damage which accumulates over time, eventually causing decline in cell function and ultimately death. The faster the metabolism, the more the damage, the shorter the life. In 1956, the Free Radical Theory of Aging proposed that reactive forms of oxygen formed during energy production in cells are what lead to the damage which causes aging. It’s not proven, but there is much supporting evidence and it’s the best explanation so far. Evolution shapes the genetics which controls and deals with all this. Natural selection maximizes the species productivity in their particular ecologies. In high mortality environments, fast growth and reproduction is required, and aging is fast. If there is a chance for longer survival, fast growth and reproduction are sacrificed in favor of maintenance of the body, leading to slower aging and an extended reproductive life. In some species, hibernation has evolved to allow an organism more flexibility in a changeable environment, allowing survival through lean times so that reproduction can re-start when conditions improve. In hibernating fat-tailed dwarf lemurs, the heart rate drops from 200 to 8 beats per minute. Both body temperature and metabolic rate can also drop for up to three months at a time, though they can also enter torpor; a milder state of lower activity. As the Rate of Living Theory predicts, this reduction in metabolic rate is associated with a longer life. Could humans achieve a similar state? 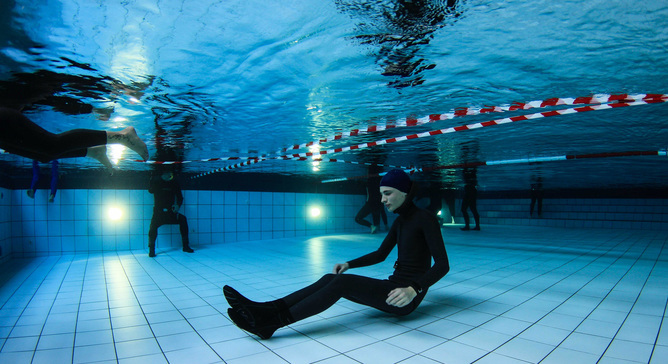 Extreme depth free-divers can slow heart rate as an enhanced form of the diving reflex. Some sort of trance-like focus is often used. Holding your breath results in substantial brain cooling by as much as one degree per minute. But this form of control is associated with significant incidences of abnormal heart rhythms, and deaths among free-divers are not uncommon. In 1999, 29-year-old Norwegian Anna Bågenholm survived 80 minutes in freezing water following a skiing accident. She was in extreme hypothermia; her core temperature, even after an hour’s journey to hospital, was just 13.7°C. Although there was significant cold damage to her body, there was no apparent brain damage at all. This was probably because, when her heart eventually stopped, her brain was so cold its metabolic rate was sufficiently slow it required almost no oxygen. Her heart stopped for at least three and a half hours and her metabolism is thought to have slowed down to just 10% of its normal rate. The use of therapeutic hypothermia for treatment of cardiac arrest has become more common in Norway since this case. This can reduce core temperature to 32°C, five degrees lower than usual body temperature. But slowing the heart substantially requires even lower temperatures, and surviving this slowing of the heart would require substantial cooling of the brain and other energy-hungry organs. All which would need a lot of fine tuning to get right. At this point, at least, I’m not holding my hand up to volunteer.